I am generally attracted to the raw and unrefined spectrum of the Arts and Crafts. My most significant pottery influences have been the folk traditions of China, Japan, and Persia. In my work I attempt to combine the archetypal motifs of these traditions with more contemporary imagery inspired by advertising logos, graphic novels and urban street art. By shuffling and recombining these proven formula, it is my hope that the muse of familiarity appears cross-dressed as innovation. Originally from the San Fransisco Bay Area, Kurt now makes his home in the mountains of Western North Carolina. Kurt holds a degree in Education from the University of Wyoming and an MFA from Louisiana State University. 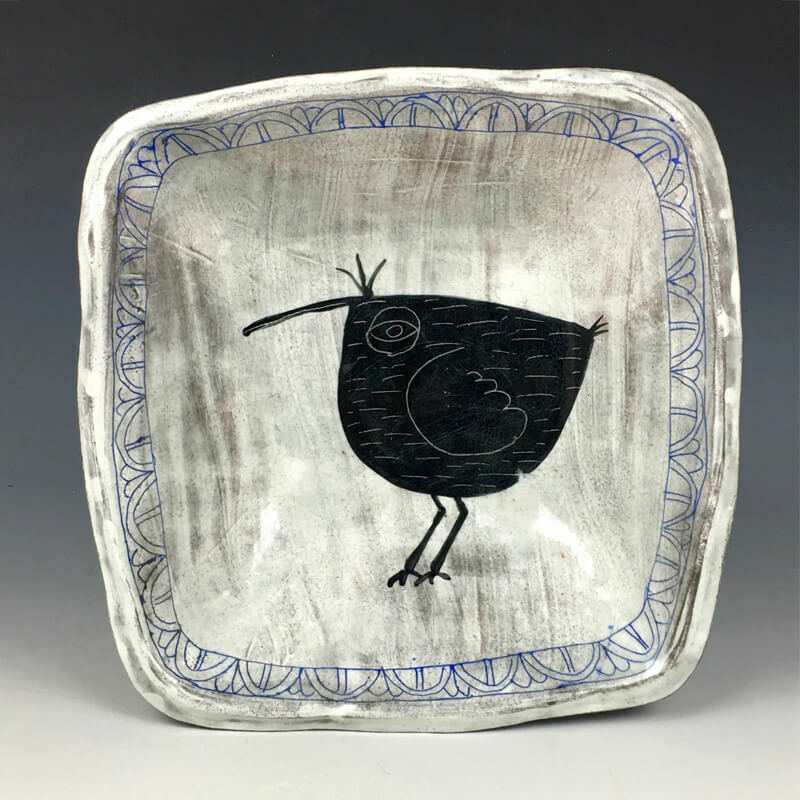 He has participated in Residencies at Watershed Center for Ceramic Arts in Maine, Penland School of Crafts, and The Archie Bray Foundation in Montana. In 2009-2010 Kurt was the Fergus Post-MFA Fellow at The Ohio State University.